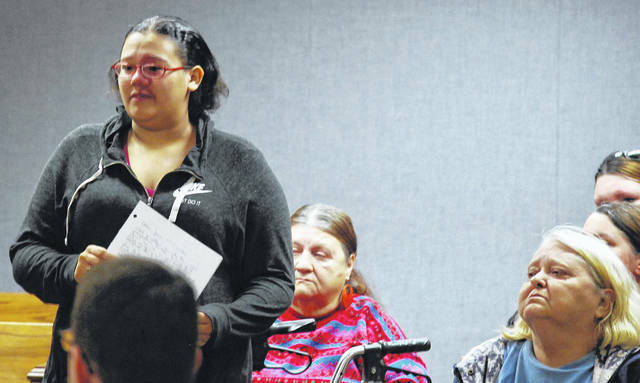 Ajah Mowery, granddaughter of Eddie McClellan, addressed the court Tuesday during the sentencing hearing for Marchion Williams. Williams was sentenced to 15 years to life in prison for stabbing McClellan to death earlier this year at his Lima residence. Marchion Williams, 40, addressed the family of Eddie McClellan in Allen County Common Pleas Court Tuesday morning just minutes before being sentenced to 15 years to life in prison for stabbing the Lima man to death earlier this year. 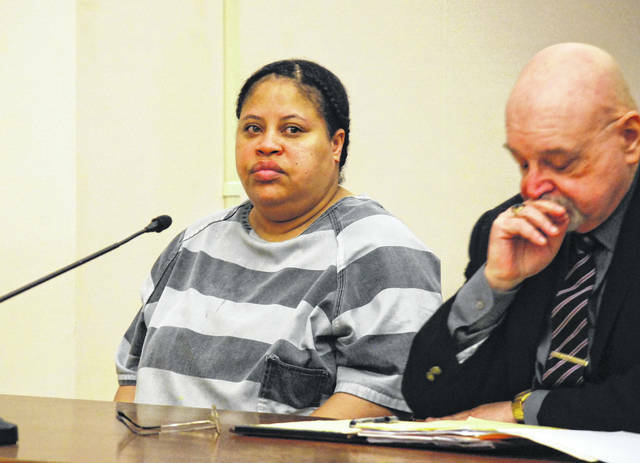 LIMA — Marchion Williams entered an Allen County courtroom fully aware of her fate. 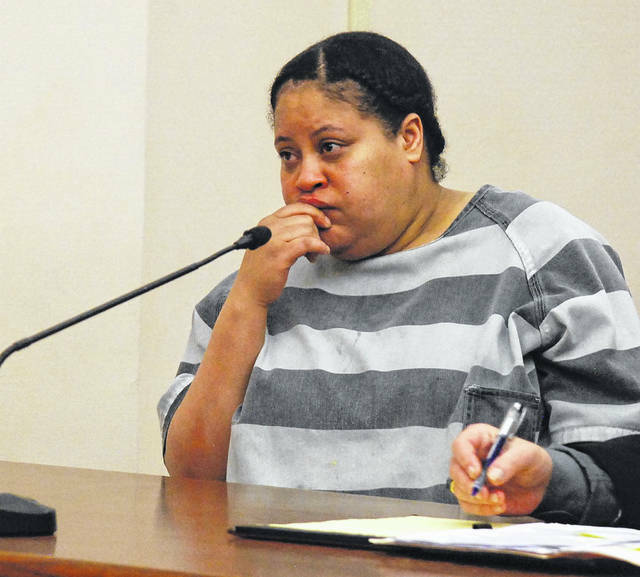 She would be sent to prison for 15 years to life for stabbing to death a Lima man she described as a dear friend. Williams, 40, and described in official court documents as “homeless,” accepted responsibility for causing the death of Eddie “Joe” McClellan in March of this year at a Fairview Avenue residence in Lima as she appeared Tuesday morning before Allen County Common Pleas Judge Jeffrey Reed for sentencing. 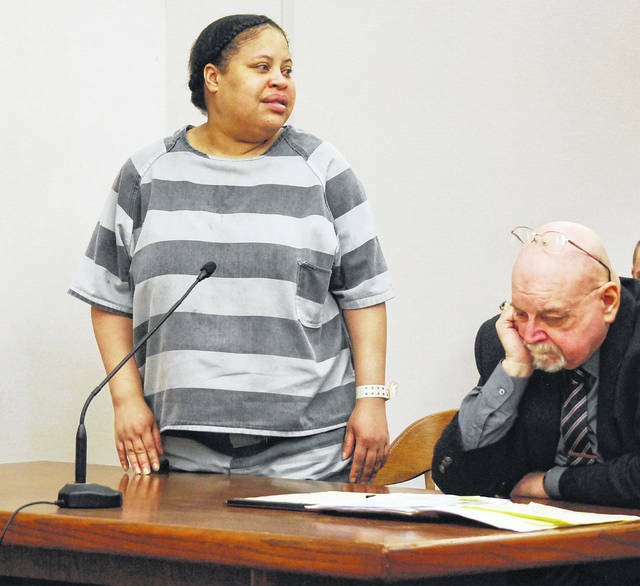 There was no suspense in the sentence awaiting Williams; Reed had said in September when the woman accepted a plea deal from prosecutors that the sentence she would receive was a mandatory one, prescribed by Ohio law. But emotions nonetheless ran high in the courtroom as members of McClellan’s family addressed the court, and Williams apologized to McClellan’s family as well as her own. Ajah Mowery, McClellan’s granddaughter, spoke directly to the defendant and said, “You laughed and joked about what you did to my grandfather. You lived with him and still took his life. Why? He would do anything for anybody. Shirley Hunt, who said she had a relationship with McClellan for 16 years, also addressed Williams. “He was a good man. I don’t understand why this happened. I just hope that some day you can feel the pain I’m feeling right now,” Hunt said. Williams’ attorney, Greg Donohue, said the incident happened because both his client and McClellan were under the influence of drugs and alcohol during an altercation that escalated out of control. “Mr. McClellan picked up a knife and tried to stab her (Williams) in the arm. Then she stabbed him because he was trying to do bodily harm to her,” the attorney said. Williams said “everybody lost” because of her actions. Williams apologized to the McClellan family and also to her own. “I love everybody. God bless,” Williams concluded. The charges against Williams stem from an incident that took place late on the evening of March 13 or early on March 14 at McClellan’s residence. Police were dispatched to the home shortly after midnight on March 14 in reference to the report of a stabbing incident. Upon their arrival, officers found McClellan, 65, suffering from multiple stab wounds, including one in the chest, according to court documents. He was transported to Lima Memorial Health System, where he was pronounced dead shortly after arrival.